King’s Theatre has been part of this community for almost 100 years. Now we’re giving the community a chance to be part of the rich history of this storied theatre. 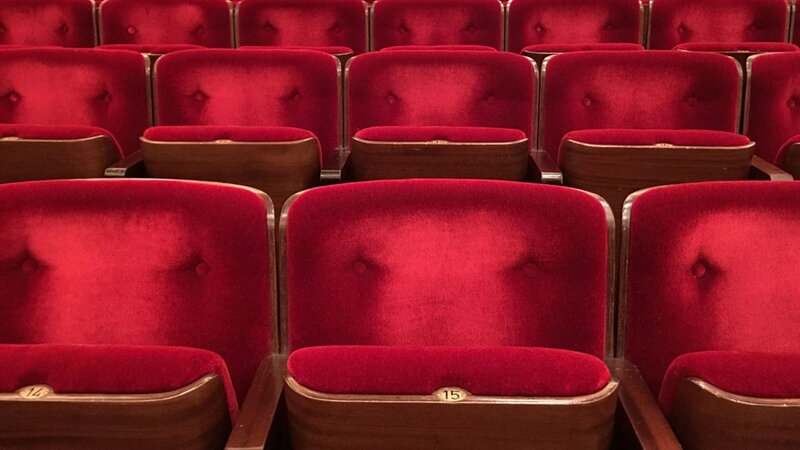 Naming a seat is a unique way to mark a memorable event, honour a special person or simply to celebrate your personal connection to King’s Theatre. Select a seat in our auditorium. Perhaps it’s your favourite spot to sit and watch a show, or the place where you experienced an unforgettable performance. Your seat will be personalized with your dedication on a brass plate and placed on the back of your seat. $250 for One Seat or $450 for two. Complete the responsive PDF, save to your computer & Email attached form here. Process your payment by clicking the buttons below. Note you do not need to have a Paypal account to pay online. You can make your donation by PayPal or Credit Card. Click the buttons below this form to make payment. We accept VISA, AMEX, and Mastercard. Credit cards are processed at site of purchase including the Box Office. All seats are subject to availability. Should your seat(s) preference not be available we will offer you alternative seats. There will be someone available to show you the auditorium every Tuesday during box office hours for the duration of the campaign. If you can’t make it on a Tuesday please call the Theatre and we will try to arrange a viewing time. Naming a seat does not guarantee you any booking rights or advanced booking privileges but we will try to give you your dedicated seat if it is available when you purchase tickets to a live show. The wording of your dedication to appear on the plaque must be within the limits of number of letters available on the plaque. Seat plaques are in place for 10 years starting from February 15, 2019. When this time elapses you will be given first refusal to extend or rename your Seat Dedication. If you would like to come and view your seat dedication once it’s in place please contact King’s in advance to arrange a suitable time. Full Donation for the seat dedication must be received before the plaque is installed.